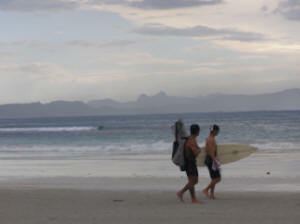 Lombok island is very famous for its best surfing spots in the world and its much less hassle than in Kuta Beach Bali. 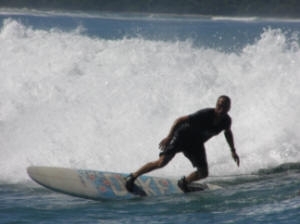 The best surfing spot in Lombok are Grupuk Beach, Mawi beach, Selong Belanak, Ekas Bay, Senggigi reef, Gili Trawangan reef, Mawun beach, Bangko-Bangko beach and Mekaki beach. For beginner that dreaming to have surfing experience we offer a special surfing course package, practice direct on the wave and guarantee able to do right paddling, hunting the wave and stand up on the board. The lesson will be taken at different spot such as Senggigi reef and Selong Belanak for beginning and than at Grupuk beach for more challenge of the wave. 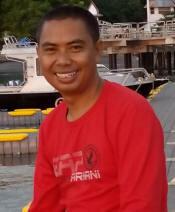 Pick up at airport on arrival and transfer to Senggigi beach, check in the hotel. Briefing and meet with your surfing guide. 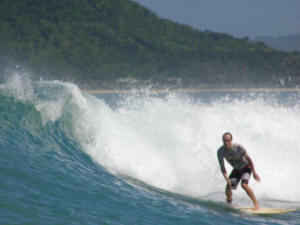 Practice and challenge your surf skill at Selong Belanak. Cancellation within 15 days of arrival is 50% charge of total payment and for last minutes cancellation (within 1 week of arrival or no show is full charge.